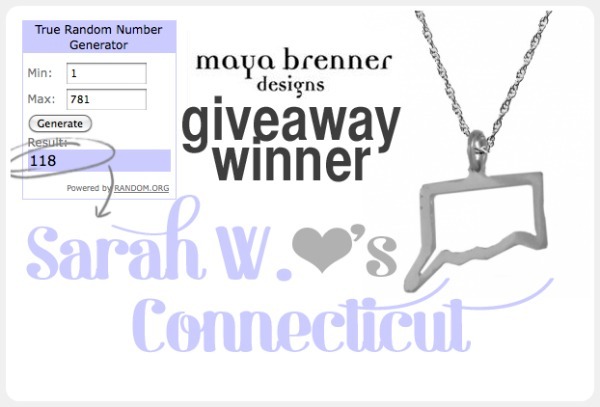 Thank you to everyone who entered to win a Maya Brenner sterling state necklace. I drew the winner. If you didn't win, don't fret. From now until the end of the month, Adored Austin readers can enjoy a 25% discount with the code AUSTIN.